Bermuda Triangle are coming to a town near you. 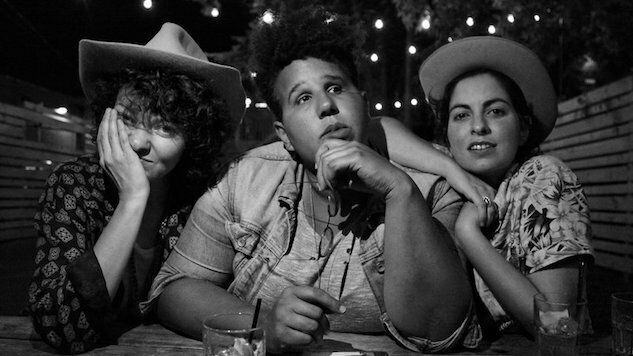 The side project of Alabama Shakes’ lead singer, vocal powerhouse Brittany Howard, kick off their 2018 tour slate with a West Coast run starting Feb. 2 in West Hollywood, Calif. Howard, arguably one of the strongest female vocalists of her generation, makes up the Nashville-based trio alongside Becca Mancari (whose debut album Good Woman was released in September 2017) and Jesse Lafser, whose follow-up to her 2015 album Raised on the Plains is due out later this year. Fans of Alabama Shakes can expect from this trio the melodic harmonies that make concert-goers fall into themselves while clenching their chests in ecstasy. In short, the music will get to you. Alongside this, a free-flowing sound of acoustic guitars, accompanied with the rhythms of a synthesized beat box and the possibility of Howard on a stand-up bass, makes this tour one you cannot afford to miss. Those who know Bermuda Triangle love them for their synchronicity and palpable on-stage chemistry. Whereas Howard holds the Shakes down with her vocals and iconic turquoise Gibson SG, the singer steps out of the front seat and blends in perfectly with the voices of her Bermuda Triangle counterparts to change her typically ‘60s-gospel inspired rock ‘n’ roll and give the audiences a little taste of folk music. With their undoubtable collective talent and distinctive blend of acoustic instruments, Bermuda Triangle will sure give us a tour that’ll make even the immovable sway. See their tour slate below, beneath an Alabama Shakes set from the Paste Cloud.